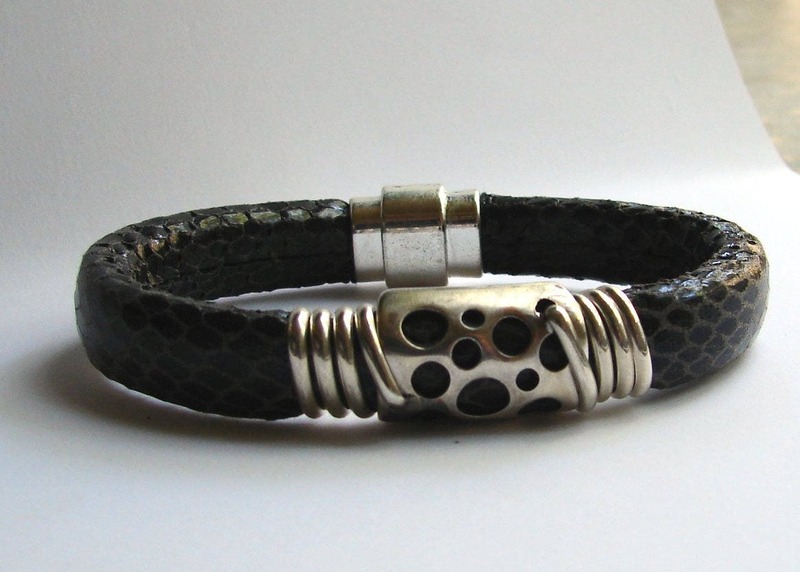 10 by 6mm black faux snake skin leather band with a silver plated slider drilled with varying sized holes. Sterling Silver half round wire grows out from the side holes and coils three times along the side of the slider. 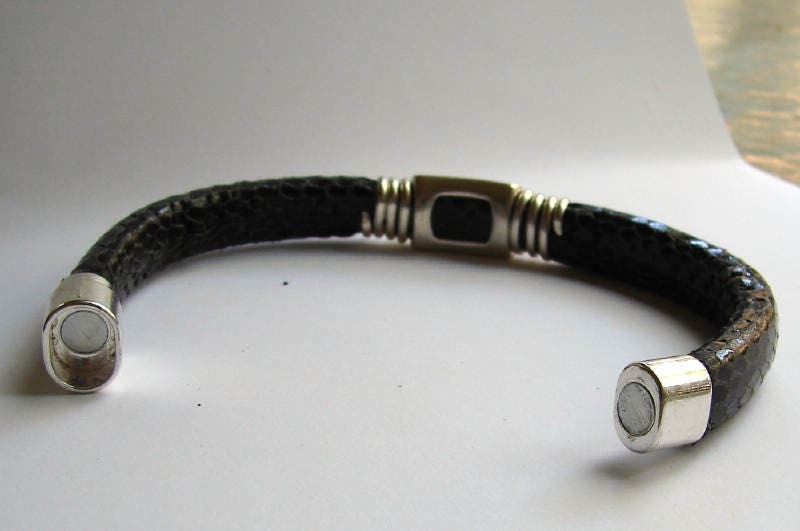 The clasp is silver plated with two magnets keeping it secure. Made to order so please tell us your desired size. Visa, Mastercard, Discover and Paypal. 3 to5 business days using USPS priority mail for domestic and Fedx for International oreders. 7 days from receipt of goods if disatisfied for any reason. We can customize any design to your needs usually at no extra cost - please don't hesitate to inquire about changes you may like. © 2019 Uncommon Expressions in Stone.